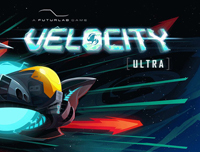 In July, Futurlab upgraded their PSP title, Velocity, with some super Vita graphics, some visual flair, and spot on dual stick and touchscreen controls. The results are a fun, quick to pick up and play action 2d shooter/scroller. 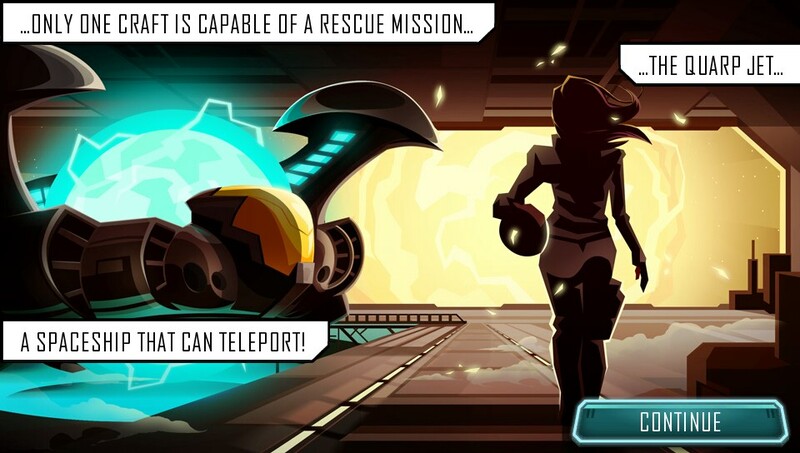 Through the use of slick story frames, the tale is told of a rescue ship with teleporting powers trying to save a bunch of survivors in space from the clutches of an alien race. You'll enjoy the story segments, but they are interspersed throughout the gameplay in such a way that you feel totally connected to it. It's tough to do this when the majority of what you do is blast, teleport, save people, and repeat. Regardless, the storyline breaks up the intense levels nicely. This is why you buy the game. The Vita is made for short gaming sessions with some flashy graphics and great controls. Each level will run you a couple of minutes to get through. The draw is to get through as quickly as possible while collecting survivor pods. 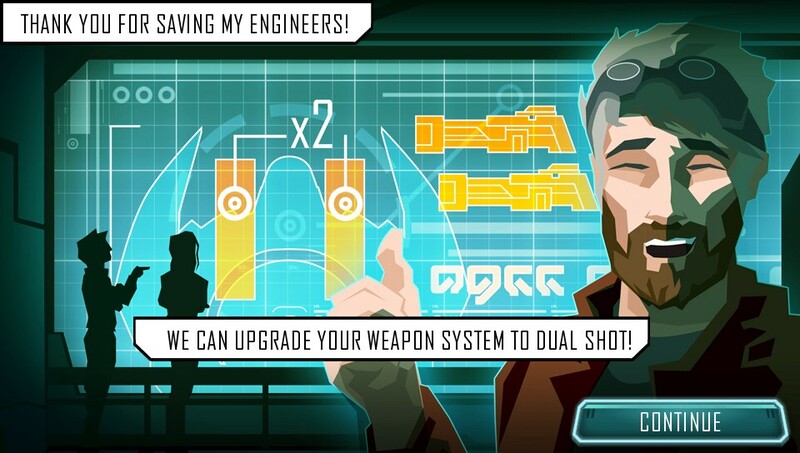 You have guns (with upgrade pods), bombs, and the teleport action. It feels strange at first that you constantly are moving forward and can only shoot guns in one direction. Why can't you? You own a teleporting ship but you can't turn around and pick up a pod you just missed? You get over that and learn how to use these strategic pods that allow you to backtrack on a level. You generally drop these at a junction and teleport back later after you destroy a node in a certain order. The game eases you into the action nicely. You learn the guns first, then the bombs, etc. 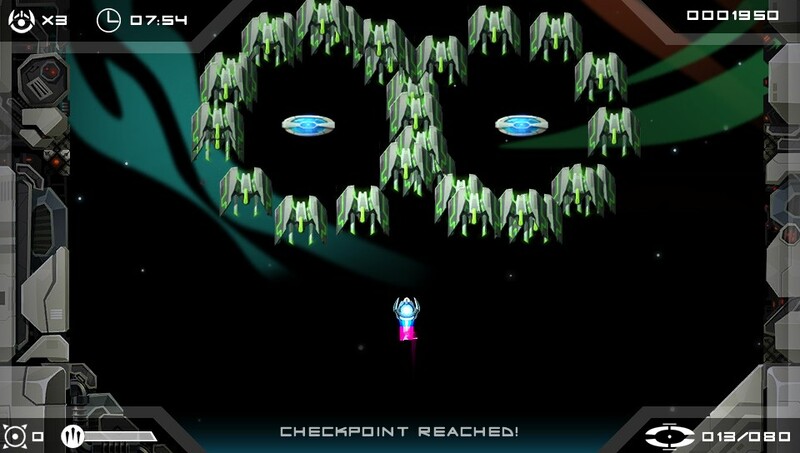 Pretty soon you're tapping the screen to teleport frantically to get around enemies or into open areas. It makes for a fun time. For $7.50, you get a ton of levels with replay in there (to get to the top of leaderboards, get a higher ranking, and to earn trophies. There is even a platinum!). One of the things I noticed that hurt my enjoyment was that when you finish a level, you just pop into the next one. It is a little anticlimactic and you're, "Wait, did I just finish that? What does that mean for the story?" The levels don't have clear names to them, and you don't really know why you're doing all the fighting. Sometimes a storyboard pops up and it means something. But often you feel a little lost and yearn to get back into the action. The visual overhaul is a great touch. You feel more connected with the story. You see how when you collect certain survivors, you get upgrades to your ship. The guns are good, there are some nice explosion effects. The thing that you start to notice after a few levels is that there is little variety in the maps. It feels a little bland. Sure, the way the levels are put together are nice, and the background falling apart as you move through look nice. 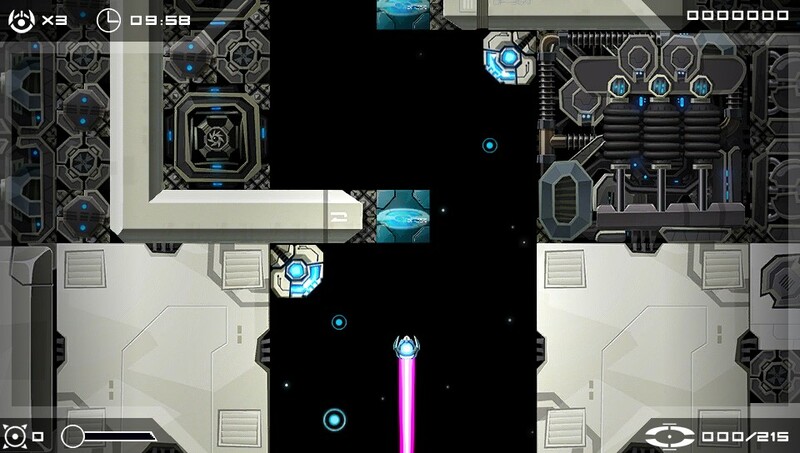 But the background is reused through big parts of levels. The music is a cool sci fi theme. Synth action music really accompanies your flights. It's a good fit. The thing I missed, though was the end of a level. Some "win" music would've added more impact to the completion. Blasts and bombs are fun, too. There is a good feel to the action with the sounds. like your twitchy shooters that require precision fingerwork. You get a sense of accomplishment by tapping the screen to teleport, shoot a target, zoop back out... it is really rewarding. want to have a shooter on the go. This game is perfect for Vita gaming! want a lot of bang for your buck. 7.50 is a small price for a lot of action! 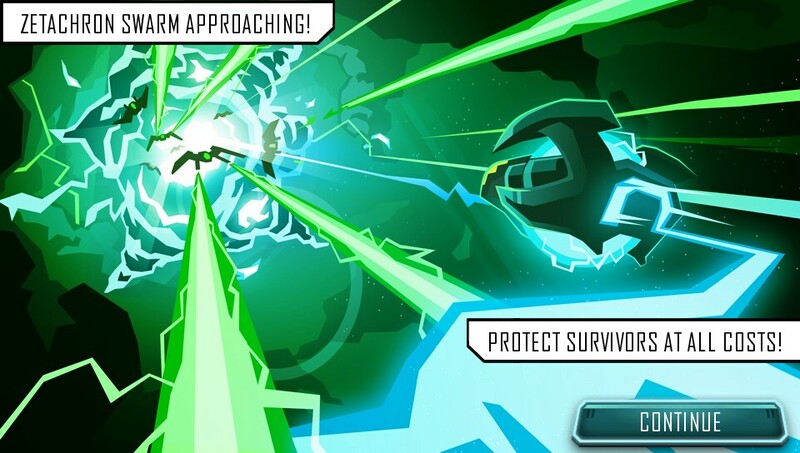 Thanks to Futurlab for providing the review code! Comment below: Have you played this yet? If not, are you interested at all?